Norwegian operator Equinor has signed an agreement to acquire Chevron’s 40% operated interest in the Rosebank project. Equinor’s executive vice president for global strategy & business development and UK country manager said, “we look forward to becoming the operator of the Rosebank project”. Interestingly, as Statoil, Equinor previously held a 30% non-operating interest in the project. This was in 2013 sold to Austria’s OMV, whom later exited the project. 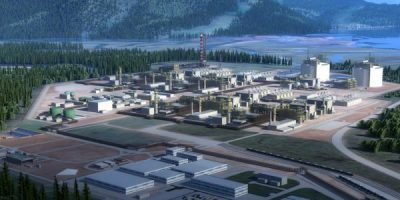 A Chevron spokesperson has now confirmed they have signed a sales & purchase agreement with Equinor for its share of the Rosebank project. This is however subject to approval by the UK authorities and field partners Suncor (40% interest) and Siccar Point Energy (20% interest). The acquisition comes after Chevron for years have been weighing up development options for the field without reaching a final investment decision. FID has been predicted to be approaching several times throughout the past 5 years, but it has been pushed by time after time. As recently as this August Chevron notified the OGA (Oil & Gas Authorities) they intended to apply for consent to develop Rosebank. The document included the proposal of a 290-meter long and 59-meter wide FPSO that would be designed to handle 100,000 barrels per day of oil. Under these plans submitted first oil was expected in the fourth quarter of 2024. 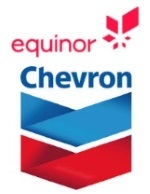 Equinor however has vowed to take the time they need to scrutinise the development plans they are inheriting from Chevron. Chevron to relaunch tender process for Rosebank production vessel later this year as it advances through feed phase and progresses towards FID. Discovered fourteen years ago 80 miles north-west of the UK Shetland Islands on the Atlantic Margin, lies Chevron’s undeveloped Rosebank oil and gas field, in which it holds a majority stake. Rosebank is deemed to be one of the most promising, undeveloped areas of the UK North Sea, in waters over a kilometre deep with potentially recoverable resources estimated to be between 240-300mil barrels of oil. If the US oil major successfully develops it, the field will be one of the biggest new developments in the UK North Sea. All this sounds promising for the operator company; however, the Rosebank project has been anything but smooth-running. With initial costs for the project estimated at a whopping $10bn in 2013, Chevron were forced to cancel their original contract with the South Korean shipbuilder company responsible for the FPSO. Later in the same year, Chevron officially deferred the project, requiring more time to improve its economics for the FPSO project intended to transport natural gas via pipeline. In December, the company sent a termination notice to HHI (Hyundai Heavy Industries) for their order of the vessel, valued at just under $2bn. Its measurements were 29m x 57m x 30m and its design would have enabled it to endure the harshest of conditions. Furthermore, the FPSO was to be able to produce 100,000 bbl (billion barrels of liquid) and 190 MMcf/d of natural gas, with a storage capacity of 1.05 MMbo (million barrels of oil). HHI had already placed orders for production systems, an almost 100,000-tonne turret and a newbuild semisubmersible rig designed for development drilling, all of which had to be cancelled upon the project’s deferral due to the higher than anticipated costs owed to the water depth and hostile weather conditions. However – hope is not lost for Rosebank. 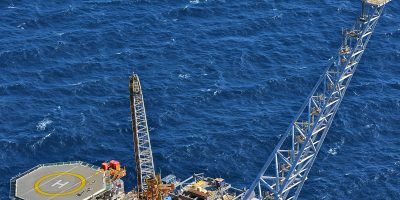 After cancelling their initial order for the FPSO, Chevron has recently confirmed that they will soon be relaunching the tender process and issuing new invitations to bid for the production vessel project later in the year. A Chevron spokesperson has already made a statement confirming that the project is currently in FEED phase with a design capacity of 100,000 barrels of oil and 80 MMcf/d of natural gas. When the question of FID arose, the spokeswoman claimed it is too early to offer a date as FEED is still yet to be completed, however Rosebank is still progressing as optimisation work continues and Chevron are fully committed to this venture. With the market developing significantly in the North Sea, candidates with FPSO and North Sea experience will be highly sought after to fill positions on this project, so please ensure that you send us your up-to-date CV to be considered!